2014 has come and gone and lots of energy news happened in the year with oil prices collapsing at year end. Tesla sold fewer vehicles in the USA in 2014 than they did in 2013, therefore they were not even closest to the greenest thing in 2014. Even through the deal Mr. Obama signed with China was touted as being green it hardly was. The US emitted more CO2 than it did in 2013 and will likely emit more CO2 in 2015 than in 2014. So what was the greenest thing of 2014? I have to give the award to LED. Yes Light Emitting Diodes helped the world emit less CO2 while providing more lumens to a world that otherwise is in utter darkness. The Nobel prize in physics was awarded to three scientists of Japanese descent who helped invent the LED. This was a well deserved award of the prestigious prize. 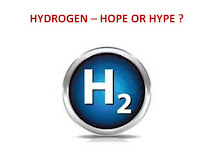 In my book Hydrogen Hope or Hype? written 11 years ago I predicted the LED would be a world saving technology. At that time traffic lights were being converted to use LEDs rather than incandescent bulbs. I suggest you all buy the E Book version of my book it still is the best primer on energy and sustainability that has been written. Here is a link to the book. If you read the book you will understand that in all probability the Toyota Fuel Cell vehicle will not win any Nobel Prize in physics and will hardly make a dent on GHGs. Toyota needs a decoy for the tens of millions of ICE cars it sells and the Mirai is actually a green Mirage to deflect future tobacco company type lawsuits that Toyota and other automakers may have to defend. The Mirai is window-dressing not a LED type world changing invention. Dr. Moniz posts on Facebook and I often comment on his posts. I wish he would comment on LEDs and not some nonsense like the Kemper power project that he hyped when all know this is a boondoggle that cost taxpayers and ratepayers billions. Dr. Moniz also touted Ivanpah on his FaceBook page and we all know that Ivanpah has proved to be Solyndra times three. As a footnote to 2014 my friend’s 1.557 megawatt PV project in the Bronx New York generated 1,733 megawatt hours in 2014. There are 8,760 hours in a year and performing the algebra the Bronx NY PV system had a capacity factor of 12.7%. Dr. Moniz and the Governor of New York should take note of the attainable capacity factor for roof mounted PV in New York. I had predicted my friend’s project would have approximately 12.6% capacity factor when he told me he was going to embark on it. 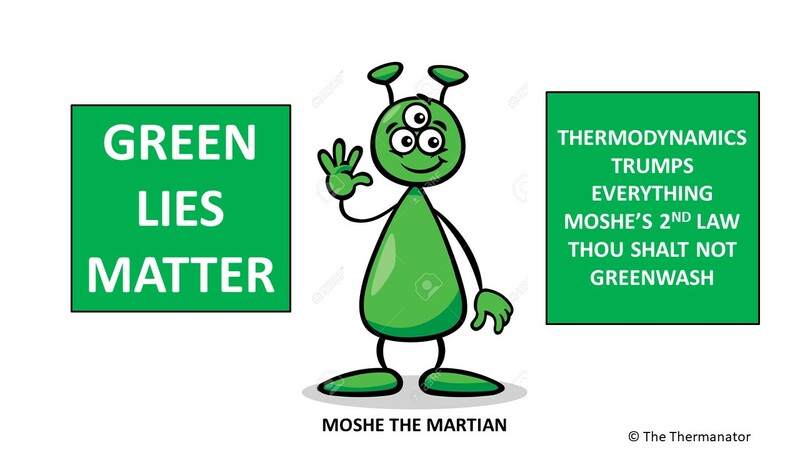 My friend was green but he would have been far greener if his warehouse was located in the Atacama Desert of Chile. Of course my friend should install LED lights in his large warehouse. Cree the leading LED manufacturer is now selling common commercial lights that emit approximately 100 lumens per watt. Cree also has LEDs in development that emit 300 lumens per watt. Using the 100 lumens per watt that my friend’s 1.557 megawatt PV system can produce at peak, he can install 155.7 million lumens of lighting in his warehouse with the basic Cree bulb. The ball that dropped on Time Square in NY was also illuminated using LEDs. The ball has 672 LED modules and a total of 32,256 LEDs that were manufactured by Phillips not Cree. There is no doubt that LEDs are great and my congratulations go out to the three physicists who won the Nobel Prize. I say OMEDETOO GOZAIMASU to them. I can't say enough good stuff about LEDs. As the indifference of Mother Nature continues to escalate, if we want to eat, propagate food, we'll likely be relegated to doing this is more controlled quarters. I mean plants are already flipping out because of the erratic shifts going on with the weather and seasons. Even the bicycle community agrees that the most recent and biggest advances in the velo world have been in LED lighting. Serfas came out with this beauty recently, the 505 Lumen Output LED Bicycle Commuter Light that is rechargeable via a USB port. I own the 305 Lumen Output; it's great because it's both good for seeing with (it puts out a decent amount of light) and for being seen by (with side visibility ports), so more than adequate to see what's coming up in my lane on the streets, or on the bike path to avoid 'inelastic collisions'. Forgive me if this doubles up my question. I hit "Publish" and my first attempt disappeared. Anyway, I tried asking on an earlier post that was one of many you've made berating Khosla's multiple "clean energy" fiascoes (KIOR, Range Fuels, Calera, etc.) what your reasoning was for including LightSail in the list. Yes, Khosla is one of the investors but I'd like to understand your analysis of their thermodynamics claims. Danielle Fong, one of the co-founders, was featured in this article at Scientific American:http://blogs.scientificamerican.com/plugged-in/2013/05/26/five-energy-companies-disrupting-the-status-quo/ . Some commenters questioned her claims and, unlike many people, she responded politely and directly. She discussed the (basic) thermodynamic cycle of their concept, I'd be curious to know your analysis of her explanation. Rob Compressed Air Energy Storage with heat capture with water vapor has been thought of multiple times. The system is expensive and the round trip efficiency may get to 75%. But why do this when lithium ion batteries can go through several thousand cycles with a round trip efficiency of over 95%. You can buy a 0.96 kwh battery with controls from Ping Batteries for $800 with shipping. They claim 3,000 cycles. Just store the energy that way. Years ago I filed some provisional patents on CAES and dropped the idea.